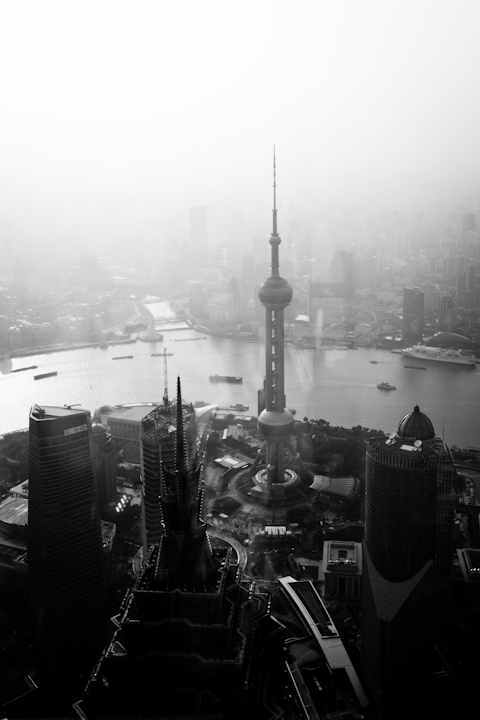 The Shanghai World Financial Center is the 3rd tallest building in the world with 101 floors and a towering height of 492 m. It took 10 years for this building to be completed and it was in August of 2008 when it first opened. Despite being the 3rd tallest building, it can boast of its observation deck which is the highest in the world. 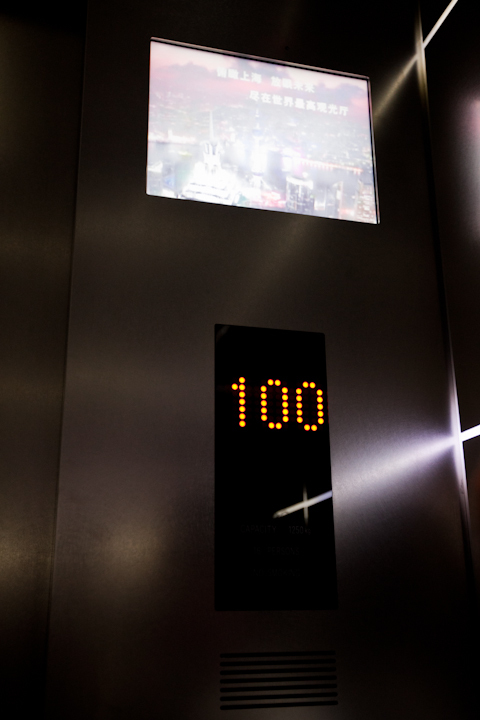 Located at the 100th floor is an indoor public observation deck which is 474 meters above the ground. One can opt to climb only up to the 94th floor (100 rmb), 97th floor (110 rmb) or to access both and the 100th floor (150 rmb). The walkways of the 100th floor have areas made out of glass which definitely reminds a person about how high he/she really is. Unfortunately the observatory is a bit cramped (partly because of all the people) in comparison to other observation decks I’ve been to. Let me share with you my experience at the SWFC. My husband and I decided to go one afternoon since it was the only time we had left. Once we entered the building we were asked to go down to basement level 1 to get our tickets. The line wasn’t that bad but after getting our tickets we had to fall in line all over again to ride the elevators. We figured that it wouldn’t take that long so we didn’t have to worry (when we went up Taipei 101, we only had to wait a couple of minutes despite the number of people since the elevators were really really fast). When it was our batch’s turn to go in, to our surprise it still wasn’t time to ride the elevators. We went in one room to watch a brief presentation about the Financial Center. After the show, we had to fall in line again just to get into the elevator. We finally rode the elevator to hundreds of meters up and got off somewhere and had to ride an escalator up to the 97th floor. The 97th floor had beautiful views but yes, once again we had to wait for the elevator to the 100th floor. This one moved a tad slower this time. So we just stood behind all those people and we couldn’t be happier when it was our turn. While killing time we saw notes/details about the observatory. As I mentioned earlier the floors had areas made of glass. I don’t remember the exact weight per person but per glass square, even if 3 really big people jumped on that single square it wouldn’t break. I though to myself ‘you’re seriously appealing to people to test that theory aren’t you?’. And true enough, as soon as we got to the top I saw one kid (one huge kid that was taller and bigger than me) jumping up and down with all his might on one little square. It was a pretty scary sight since there were a couple of more kids doing the same thing. Anyway, the views were breathtaking and did I mention we were really high up? 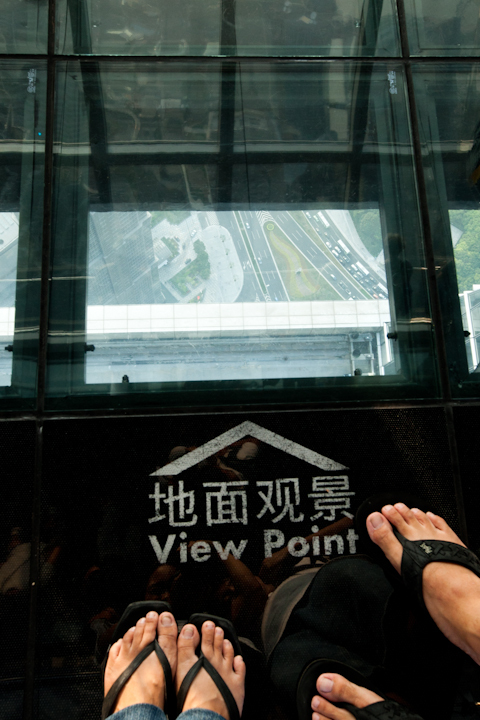 Again, 472 meters above the ground with dozens (and I mean DOZENS) of people in that space. After trying to take pictures and having our picture taken (yes I am always one of those touristy people who would buy expensive pictures at these places but if and only if they have a real background or if they look real), we finally decided we had enough nausea for the day and took our place behind a sea of people for the elevator to the 94th floor. This part wasn’t pleasant at all since some Chinese tourists were rude and wanted to get to the front right away. At the 94th floor at least there were chairs, a souvenir shop and a coffee shop. We stayed there for a while before deciding to line up for the very last time to go down. It’s relatively easy to personally apply for a Chinese Tourist Visa in Manila (for Philippine passport holders, you don’t need a visa to go to Hong Kong). The first time we went to China, the travel agency took care of our visa. This time around we decided to apply on our own. Supposedly if you have an old visa, less documents are needed to be submitted. We still submitted business papers and bank certificates even though we’ve previously applied for a visa because we could not remember what the agency submitted for us the last time. Once you’ve compiled the documents, you must go their Consular Office at the 2nd Floor of The World Center, 330 Sen. Gil Puyat Avenue, Makati City. 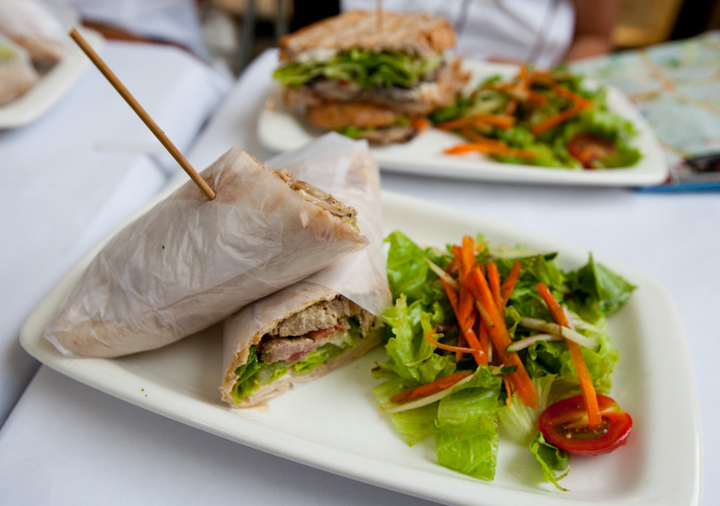 The counters open at around 9:00 am and the office closes at 11:00 am. A friend suggested that we go before 8 am because a lot of people apply for visas. We went around 7:45 am and got number 11. We thought “hey great, we’ll be done in no time!”. But to our surprise they started with the number that they ended with the previous day before which was 932. Apparently people start coming in really early to get numbers. This office was pure chaos. It took around 2-2 1/2 hours to submit our papers and they hardly even checked the papers. 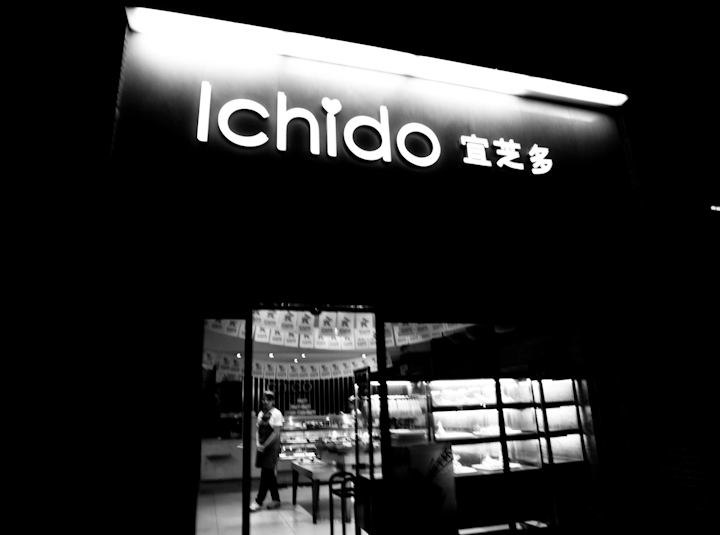 Just 5 minutes at the counter and we were done. There were 2-3 counters for visa application, 1 cashier counter and 1 counter for passport/visa releasing. After we submitted our papers, they gave us a slip that indicated the date when our passports were to be released (which was 4 working days later). A lot of people were mostly representatives of travel agencies. They also go through the same process and they even swap numbers (not as discreetly as they think). I heard them talking to one another -noisy bunch of people to the point that the guards would get mad and threaten to send them out. It’s the same process all over again when you pick up your passport. You get a number and wait. You pay for your visa when you pick it up (1,400 pesos for a single entry tourist visa). So you get a number, pay for the visa first once your number is called then fall in line again to get your passport. It should take you around 1 hour (if you’re lucky) to 1 1/2 hours to get your passport and it only takes a person around a minute or 2 at both counters. Overall, it was effortless because all we had to do was wait for our number to be called but the long wait was not fun. If you have time to wait then it’s pretty easy, just bring something to read (though you won’t find peace and quiet during any point of your wait) or bring an Ipod/PSP to kill time since cellular phones aren’t allowed. My husband and I are going to Shanghai for a couple of days. It’s funny how we travel a lot together but it took a while for me to appreciate traveling with just him. The last time we traveled with just the 2 of us was last February. The 4 trips we took since then were always with friends and family. Not that I don’t like traveling with other people it’s just that sometimes our travel styles are so much different from those we spent time with. I am a very impatient person and it’s hard not to get irritated when things don’t go according to plan (translation: when people don’t take into consideration time and schedules that have been set beforehand). So even though sometimes my husband and I still get into fights when we travel, at least we understand each other well enough to know which buttons we shouldn’t push. Unfortunately, this country will not add up to my 30 countries before 30 list. But after this trip we’re thinking of a couple of new places to go to, so hopefully one or two new countries will be added before the year ends. 1. World Expo – most people would probably go to Shanghai for this particular event and we’ve heard great things about it. Apparently the expo closes at 12 midnight and if you buy your tickets after 4 pm it’ll only cost you 90 rmb (the regular ticket rates are 160 rmb/ticket). But my husband and I usually start our days early (when traveling only!) so I’m sure we’ll be able to visit some expo sites early on. 2. XingGuan Building – 7 heavenly floors of photography items. I cannot wait to see this!!! 3. 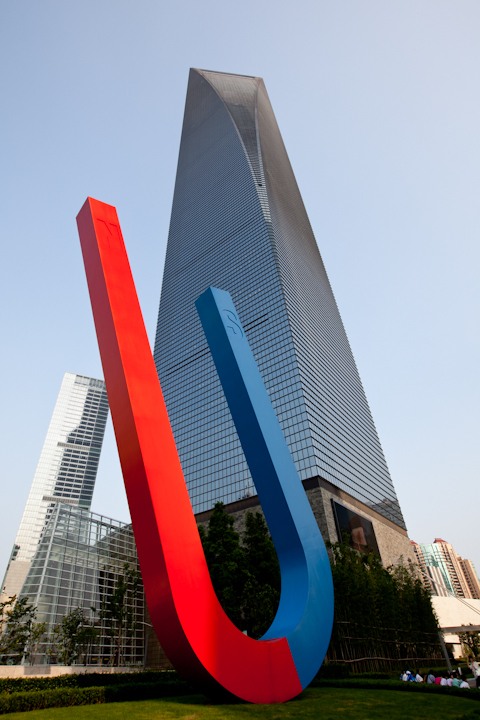 Shanghai World Financial Center – the 3rd tallest building in the world. I’ve been to 3 of the top 10 tallest buildings; my husband has been to 4. We enjoy visiting skyscrapers for some weird reason. So I am looking forward to adding more to my list. 4. Huaihai Road – A shopping area similar to Singapore’s Orchard Road. There were a lot of shopping areas on her list but I’m not into shopping that much so I’ll be contended with just going around this one. 5. 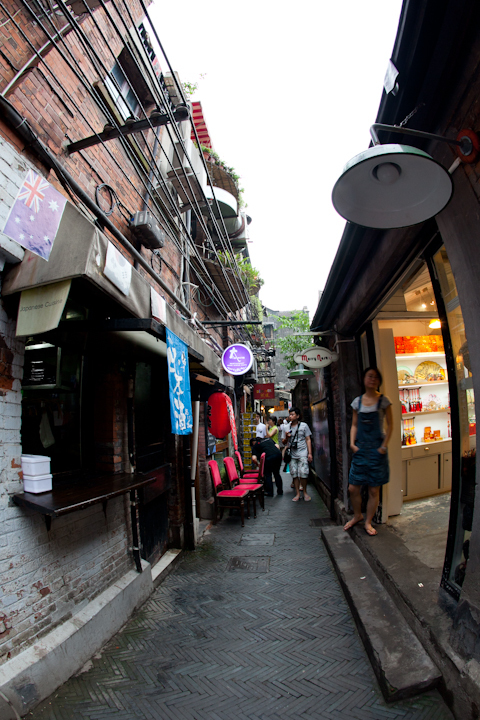 Xintiandi – She describes this as Shanghai’s “Greenbelt/Eastwood” Area (to be understood by people from Manila). I’m assuming it means that this area has shops and restaurants that are open till late night. 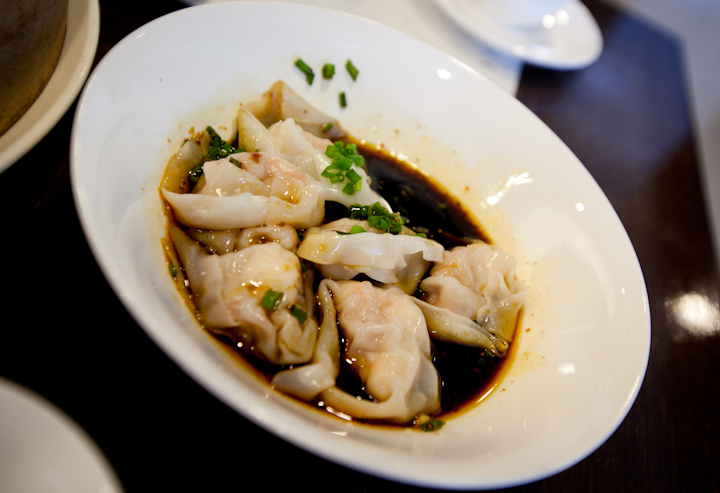 I’m looking forward to this because we might eat at Din Tai Fung! 6. 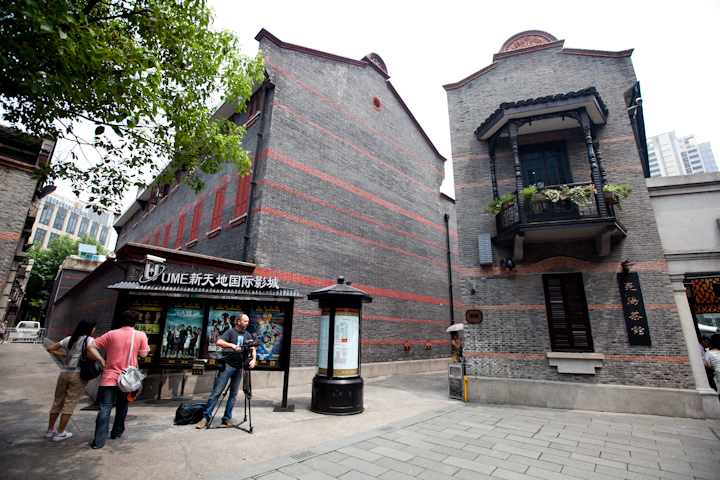 Tianzifang – her exact description is that “old houses are transformed into an arts area with cafes and restaurants”. Hopefully we’ll be able to take lots of pictures here. 7. Bund area – A walkway by the river. This is where we’ll be able to see the Pudong Skyline. 8. 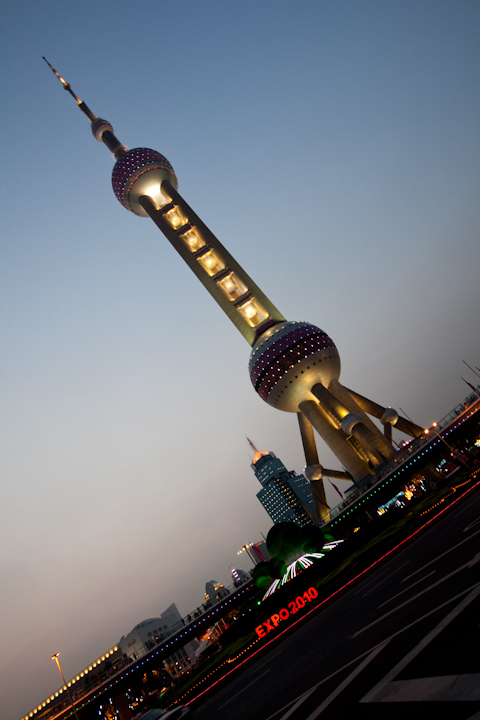 Pearl Tower – she says that this is an obligatory tourist spot (and across there is a Super Brands Mall). 9. Jingan Temple – it would be nice to see some of the temples in Shanghai. There are a couple of more places on her list such as the Barbie concept store, Taobao Building / Hancity (to go shopping for fake goods) and Nanjing West Road. Hopefully we’ll have enough time to visit most of the sites but if not at least we’ll have a reason to come back.